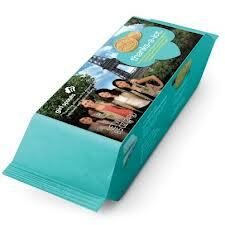 Ohh Girl Scouts, you tempting cookie sellers standing in front of the stores I frequent with your boxes of joy. I live in the ABC Cookie zone - 4 cookies are vegan, lucky me! I have one box of the Thanks-A Lot cookies for one lucky reader! Yummy vegan cookies that give you a language and manner lesson in a tasty form - yes please! I am a big believer in saying thank you! I do not like people who cannot say thank you. I want to thank you for reading my blog! Please comment below with something that you are thankful for - be it big or small, be it serious or goofy say what is on your mind. Easy huh? This contest is open to everyone. Let me know how to contact you. One winner will be picked on March 7th - the day of Mar's birthday - 16 years with my cat - yes I am thankful!